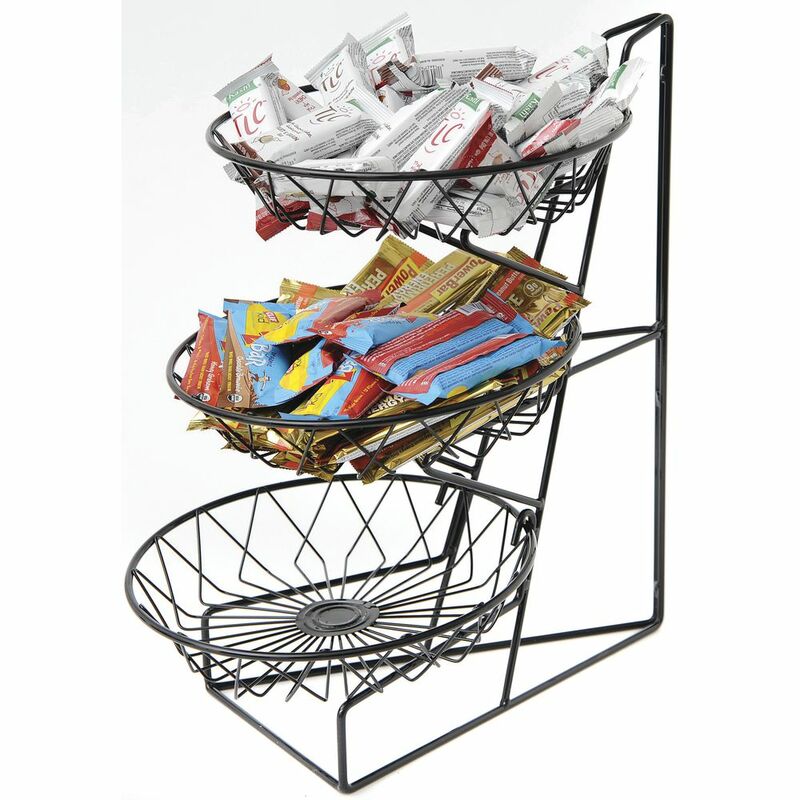 This 3-tier wire rack is great for displaying smaller products near checkout areas. The base is strong and durable, yet lightweight for quick and easy movement. The three baskets measure 12" diameter each.